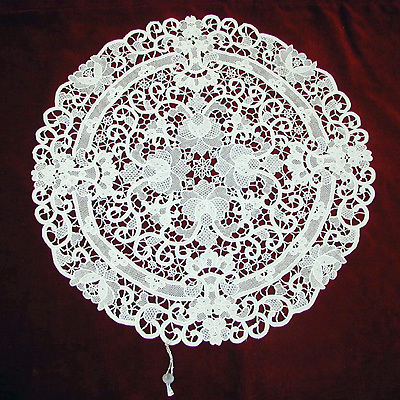 Centrepiece or coaster. The more refined of Burano productions. 10 - 15 - 20 - 25 - 30 - 35 - 40 - 45 - 60 - 75 - 90 - 130. 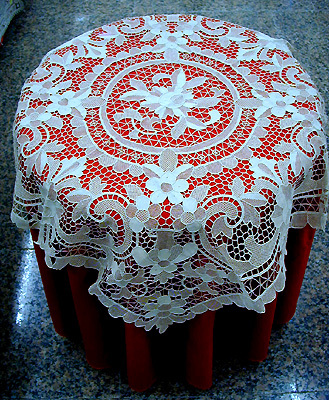 Centrepiece. The more refined of Burano productions. 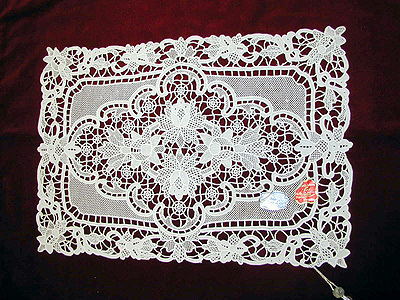 15x25 - 20x30 - 25x35 - 30x45 - 35x50 - 35x75 - 40x60 - 40x75 - 40x90 - 40x110 - 40x130 - 45x90 - 45x110 - 45x130 - 45x180. 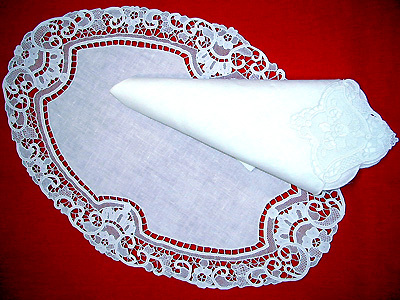 Linen placemat and napkin of very good quality with point lace. 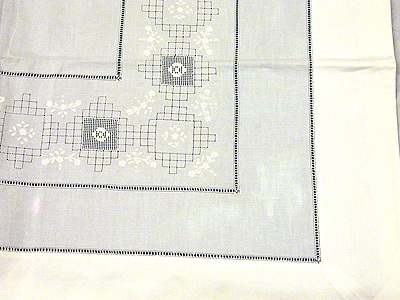 Cotton tea tablecloth with point lace. 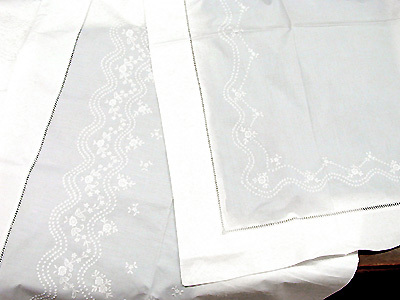 4 linen napkins with point lace. 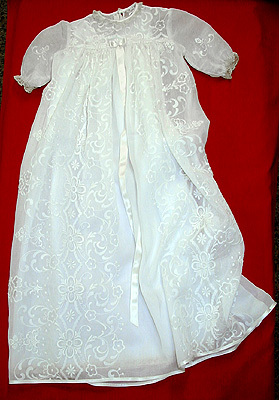 Baptism cloth, entirely hand-embroidered on battista". 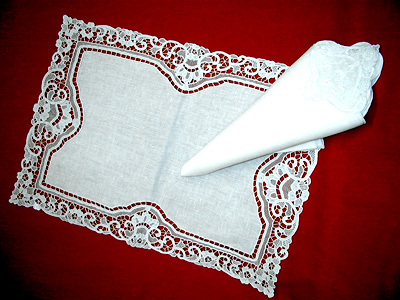 It's equipped with petticoat. 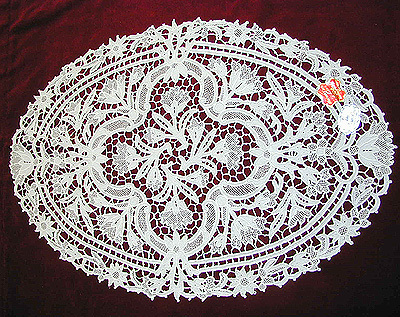 N.B: It's possible that embroideries are not the same in the picture.